Don’t let gum disease affect the health and appearance of your smile. We can help! According to the National Institute of Dental and Craniofacial Research, gum disease is the most common cause of tooth loss in adults. This may be startling to hear but before you panic, it’s important to know that gum disease can be managed effectively with the help of our Williston, VT dental team Dr. Gabriel Mannarino and Dr. Holly Halliday. Find out the most common treatment options when it comes to helping alleviate your gum disease symptoms. There are a variety of both surgical and nonsurgical options to help treat your gum disease. The type of treatment our Williston periodontist chooses will depend on your general health, how advanced your gum disease is and how well you’ve responded to other earlier interventions. 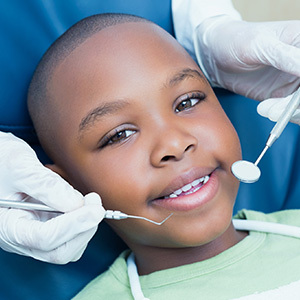 A professional cleaning: These six-month checkups are vitally important because it gives our dentists a chance to remove plaque and tartar buildup and keep teeth looking and feeling their best. If tartar is found above and even below the gumline this can lead to gum disease and will need to be removed. However, the only way to remove tartar is through a professional dental cleaning. While these cleanings aren’t designed to actually treat those with active gum disease it will be highly recommended that you come in more regularly for these cleanings if you are showing some symptoms of gum disease. Scaling and root planing: This is the most common and effective way to treat gum disease without the need for surgery. This procedure can be performed under local anesthesia. During this treatment, we will remove plaque and tartar from above and below the gum line, and even smooth down certain rough areas of the tooth roots. By smoothing out the tooth roots we can prevent an increased buildup of harmful bacteria. Flap surgery: While under local anesthesia, our Williston periodontist will make a small incision in the gums and lift the flap so that they can remove tartar buildup. In some cases, rough spots in the bone may be smoothed down to prevent overgrowth of bacteria. When complete, the gums are pulled taut around the tooth and stitched back up. Bone or soft tissue grafts: These grafting procedures may be necessary if gum disease has become so serious that it has caused the gums to recede or has caused bone loss. Through these grafting procedures, we can facilitate the regrowth of bone and tissue, making both the jawbone and gums stronger and healthier. If you have questions about how to treat your gum disease in Williston, VT, then don’t waste any time. Call Williston Dental Team today to schedule your periodontal consultation.